i had to escape. I moved far away, to a very old house down a little lane, where there are no cars, and not many people either. I live here where when you wake up, and it’s snowing outside, there’s no button to press for heating, you’ve got to go outside and gather some logs to make a fire to keep your family warm. It’s so quiet here, it’s a cottage lost in time. A place where you heat the water with coal, and a beautiful area where I’ve got a job at the little rural school across the fields. It’s not a place to hide away and accept loss, and to cry about things gone wrong, it’s a place to re-connect with the world around you, and to be creative and to fight for believe in life and in love. I feel home here. It’s where I’m suppose to be, hidden in a country cottage reading newspapers, writing poems, listening to music and embracing life for what it is, not to call it harsh or hard, but to accept the beauty of a single day. Walking home from work, I’ve never seen such epic stars above me which illuminate life. I have no choice but to look up and lose myself in the wonder of it all and marvel at Creation and Gods love for all of us. Then there is music. I can’t get by without it anymore. We drove into the city today, for I still love the pulse of electricity around me, and I picked up these albums. I’m always searching for sounds that will transform my little world, shake things up a little in my rural East Sussex hideaway, it doesn’t really matter if that’s by someone who has sold gizillions of albums or somebody who has just a few cd’s for sale at the Buxted village hall – if it grabs my attention I’ll absorb it’s radness and then write about it here…. 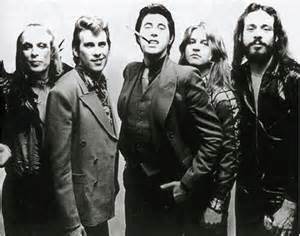 I’ve just watched a Roxy Music concert from the early 1980’s, and I was transfixed with the seemingly effortless coolness and beauty of it all. I have a bunch of Bryan Ferry cd’s and throughout the years I’ve picked up the Roxy Music vinyls, and they have become the most played records I own. The atmosphere and the elegance, with the glitzy and lost Fitzgerald-esque lyrics just blow me away every time. So, ok, Bryan Ferry has a new cd out on 17th November called Avonmore. I don’t know if it will compare to “Country Life”, but Ferry is the kind of singer you can’t have to much of. Even if his last one “Olympia” was kind of boring, this new one has Johnny Marr and Flea on too so I live on hope. Also a nice little interview with JM in NME this week too. 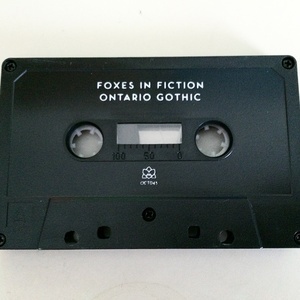 Something which I can promise you isn’t boring is the new release by a small, but super talented, band called Foxes in Fiction who I discovered one night drinking too much green tea whilst reading the Pitchfork website and it seems to be only out on tape and record – but wait, don’t let that put you off! It might be enjoyed by American hipsters in Corduroy, but trust me It’s really glorious and sad and slow, and perfect for driving about in your car too. I think the tapes have now all sold out, one of which is whirling its way across the Atlantic to me, but you can get it as a 12 inch or for a while you can get a free download too (you lucky people!) at the Orchid Tapes website.